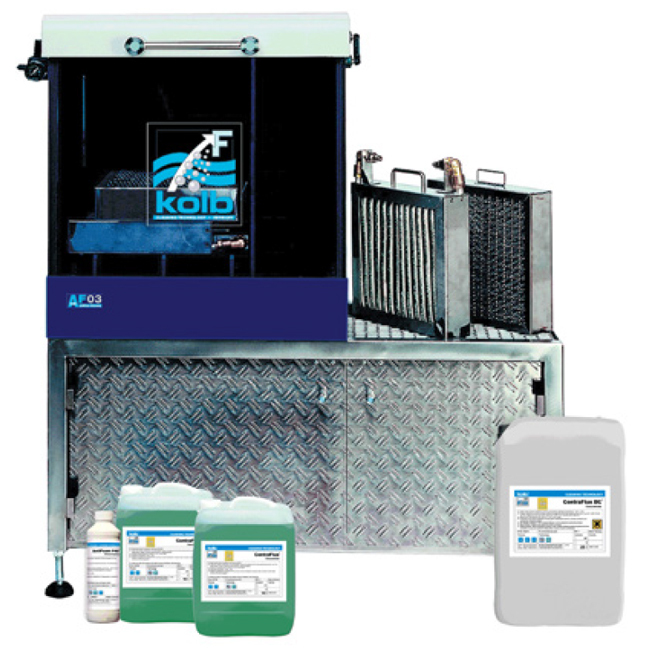 KOLB AF03 - Small two chamber desktop system for solder frames and condensation traps. It includes drip tray and storage cabinet for condensation traps and cleaning fluid containers. It cleans condensation traps, solder-frames, carriers and machine parts from flux, flux condensation, oil, dust,grease etc.